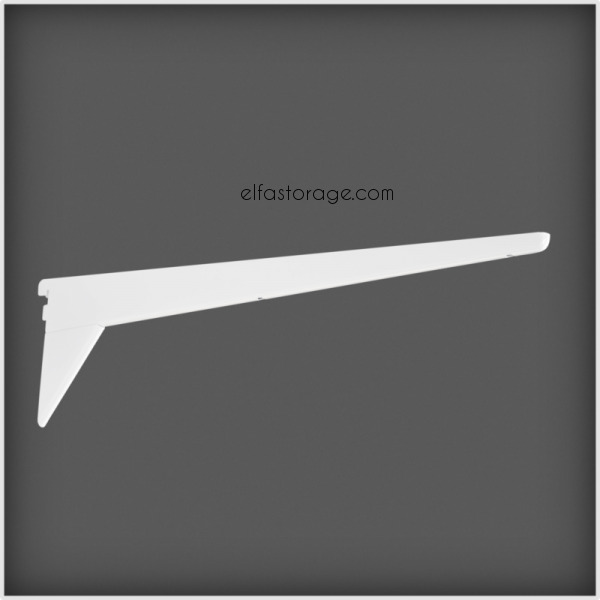 These brackets are used for melamine shelves or wooden shelves. Hook them onto the hang standards or the wallbands in order to support the shelves. To prevent the shelves from gliding, we recommend you use shelf pins or bracket screws. Use shelf joiners to join two melamine or wood shelves of the same depth and on the same bracket.